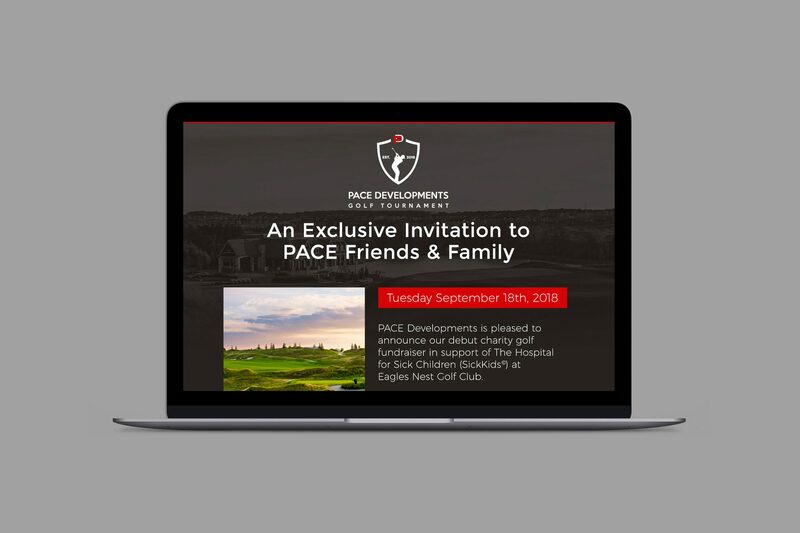 The PACE Developments Golf Tournament for Sick Kids Landing page was a new spin on a common issue when dealing with event-based data collection and payments. The event landing page was a custom design and development, including event branding and logo, and it’s unique PayPal integration gave guests the ability to fill in everything they need to register in one visit. 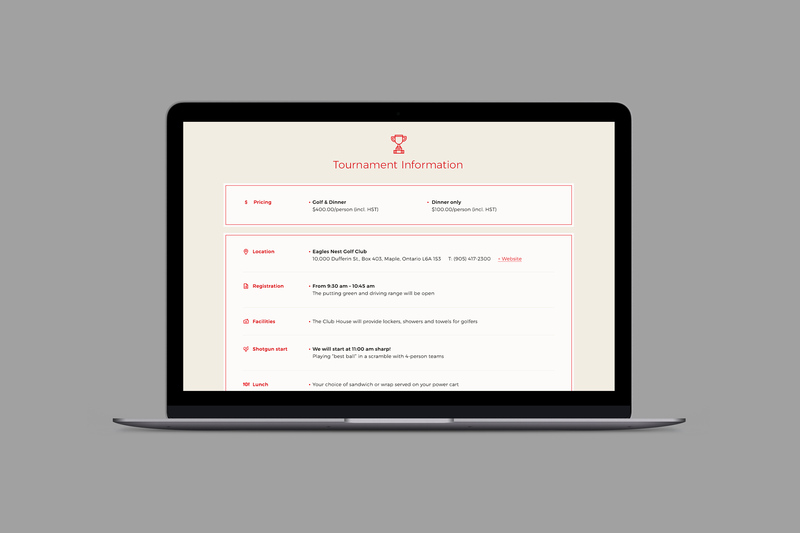 Guests could register up to 6 golf players at once, select whether each player wants to participate in the golf tournament or just dinner, select meal types as well as select a shirt size for each player. Each order is calculated according to the unique selections and the PayPal integration allows guests to check out immediately. On the back-end, each order is organized for easy management and reporting.  We are pleased to say that the one-stop design of the landing page resulted in a highly successful checkout ratio and even more importantly, the event was a huge success, raising over $100,000 for Sick Kids. 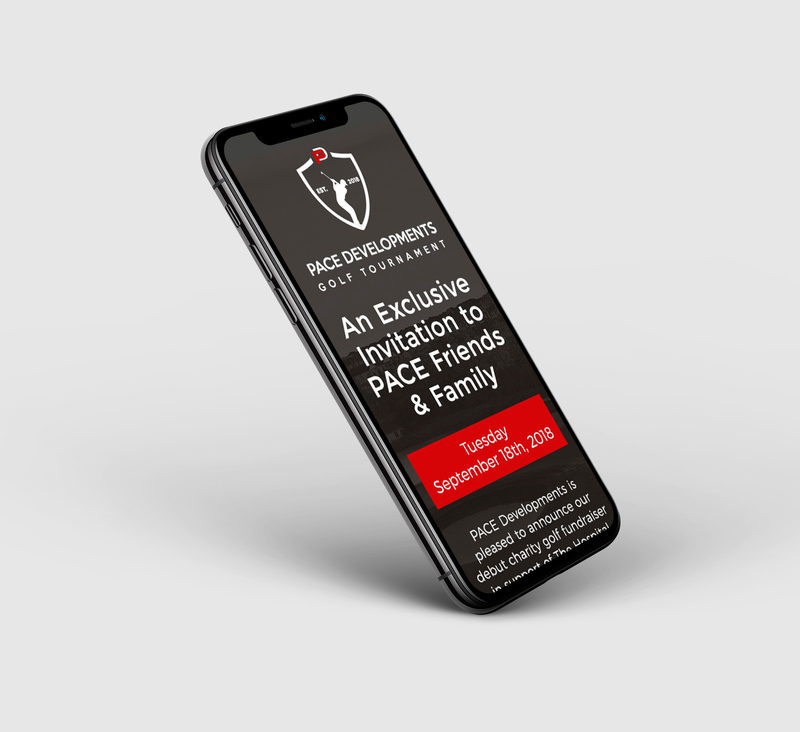 Visit https://pacedevelopments.com/golf to view the website.